The EPA proposed new rules on August 14, 2015 to further reduce emissions of methane-rich gas from municipal solid waste (MSW) landfills in the U.S. These new EPA rules will by default likely require more emphasis on recycling of paper, which is a leading source of the methane gas emitted from landfills as it decomposes. Cellulose insulation can help the EPA achieve this important initiative while also making millions of homes more energy efficient. Tons of paper are already diverted annually from landfills for the raw material used to make cellulose insulation. Cellulose insulation is made with up to 85% recycled paper, most of it post-consumer waste paper like newspapers. However, there is still a virtual mountain of waste paper going to landfills and this has clearly triggered the new EPA rules. CIMA applauds these proposed new EPA rules. Its members will continue to work at both the industrial level with major paper recyclers, down to the grassroots programs many producers have for local charitable paper drives, to help solve the nation’s landfill emissions problems and energy efficiency initiatives. 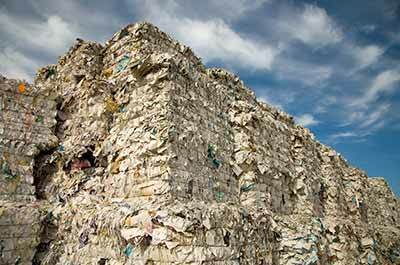 Insulating homes with cellulose recycled from waste paper just makes sense. This entry was posted in Cellulose Insulation, Energy Savings, Green Building, News & Information. Bookmark the permalink. Just wonder if anyone at the EPA has read this. They should have a recommendation for using cellulose insulation on the EPA website.